Up to $1250 in FREE bonuses at Roxy Palace Online Casino! 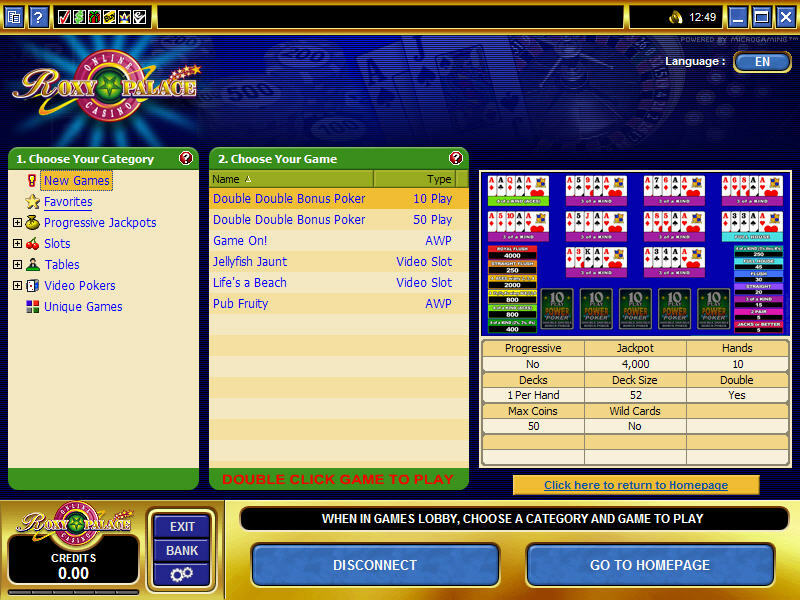 Roxy Palace Online Casino is one of the long-standing members of the online gaming community. 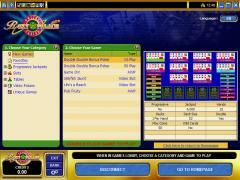 Roxy Palace is offering over 200 games developed by Microgaming, and they are available in the full download version, although there is also a no-download casino available. The casino prides itself on quick payouts and customer service, which is ready and waiting 'round the clock. Loyal players can earn Players Club points which are available to be redeemed for casino cash by the player. There is no qualification or invitation required for a customer to join the Players Club; anyone who signs up for a Real Money account is immediately enrolled. Roxy Palace is authorized and licensed by the Lottery and Gaming Authority of Malta. Roxy Palace's website is somewhat busy, with an abundance of icons, links and moving, blinking highlights. But it is still very much in order. At the top of the interface are flag icons that represent some of the countries serviced by the casino, and which, incidentally, have customer services numbers dedicated to them. 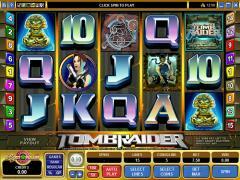 The downloadable casino features a menu of over 250 games put together by Microgaming, and that is something which insures the quality and security of all the games. The player is at the controls when it comes to adjusting the background and game sounds, as well as the speed of the games that are possible to be adjusted. There are games that are added on a dynamic basis. 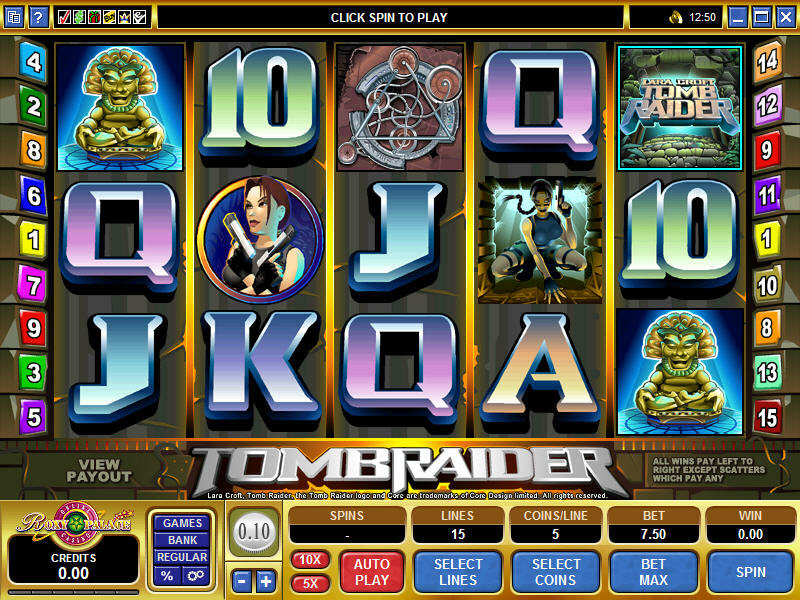 There are over 40 slots games, over 70 video slots, 15 jackpot slots, more than 30 blackjack games, over 40 video pokers, and almost 100 table games. That is a very healthy selection. Roxy Palace was named Best Slots Site by Gambling Online Magazine for 2005, 2006 and 2007. Roxy Palace makes available a 100% match bonus offer, valid up to $100 for any player opening a real money account for the first time. This works on deposits of anywhere from $20 to $100 USD. Transactions can be monitored through PlayCheck. Aside from English, the website can support French, German, Spanish, Danish, Portuguese, Dutch, Swedish and Italian, and the games can accommodate U.S. or Canadian dollars, not to mention Swiss Francs, Euros and British pounds. There is a drop-down box located at the top right-hand corner of the home page that can easily convert the site into any language the viewer wants. Roxy Palace does not accept U.S. players whatsoever. If you're from the U.S. we do not suggest even attempting to open an account with Roxy Palace as you will not be permitted to. Interested in reading more detailed information about Roxy Palace Casino? If so Click Here for more details.